When my friend Beth and I had our Hershey, PA getaway (without our families!) we were both wound up as tight as yo-yos. 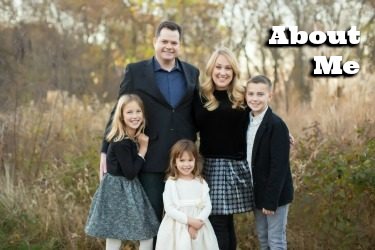 We were spending hours every day working on a major event in its last stages, helping our kids get their school years started, and striving to balance career and family demands. We were in desperate need for relaxation. 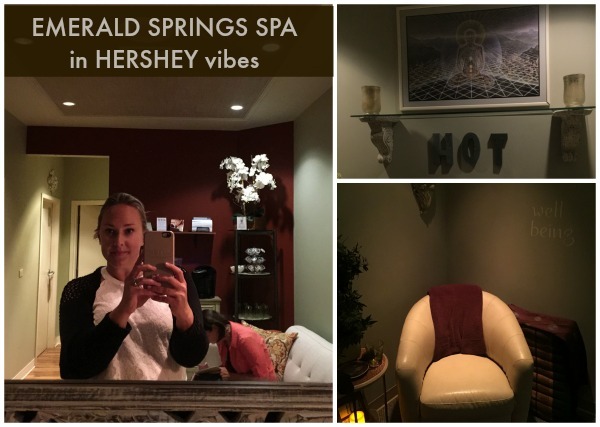 Before checking in to The Hotel Hershey, we headed to the Emerald Springs Spa in Hershey for massages. I am pretty much obsessed with the mind and body benefits of therapeutic massage, and Beth had never had one. So were at both ends of the client spectrum when we arrived at Emerald Springs, but both yearning to decompress. The spa itself is both luxe and homey. It definitely feels like a luxury independent spa. We loved the beautiful environment, but the little personal touches made us feel like honored guests in an exclusive club. 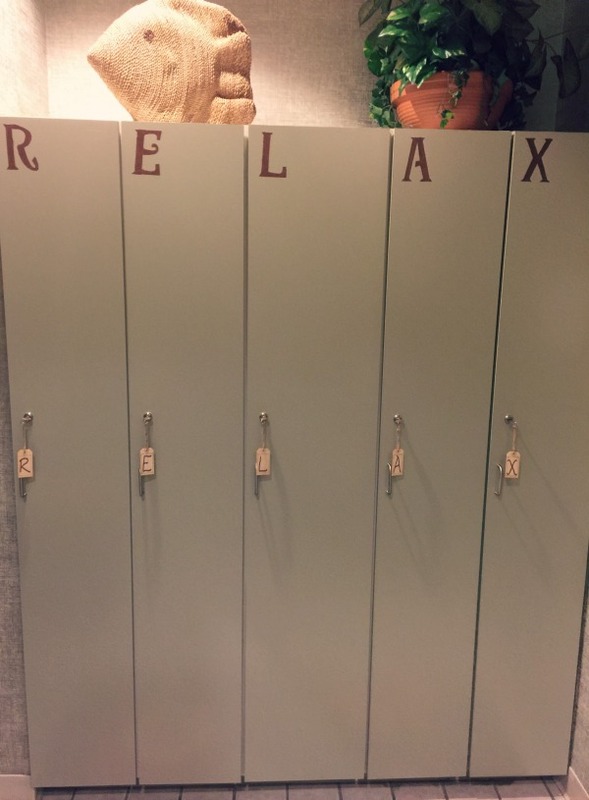 Instead of a numbered locker, for instance, you receive one of the letters in the Emerald Springs Spa motto: RELAX. 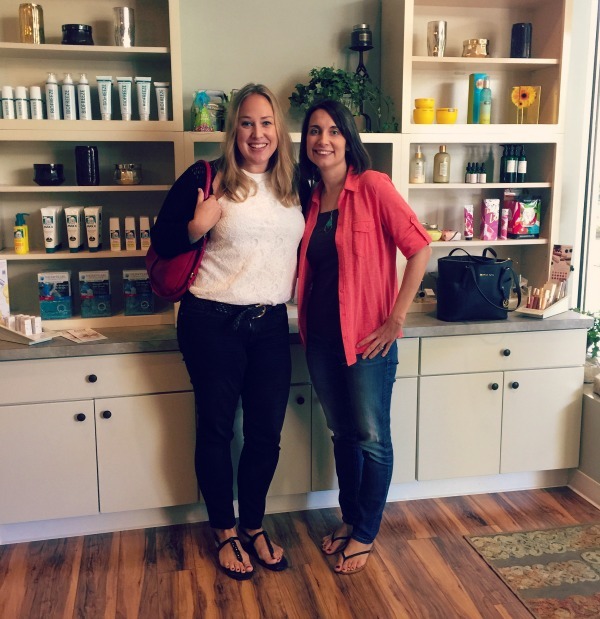 Each of us were met by massage therapists who exuded kindness and good energy, and went in to the therapy rooms for 60 minutes of healing and bliss. I finally unclenched my jaw and shoulders for the first time in a month. Beth said that she felt relaxed, cared for and peaceful. Both of our backs, bodies and spirits felt we vastly improved. As we sat in the relaxation room afterwards drinking tea with oily, sticking up hair, we couldn’t help but just smile and stutter that we felt SO MUCH BETTER. Emerald Springs Spa in Hershey also offers body wraps and exfoliating treatments. From sea salt scrubs to green coffee wraps, you can have your skin nourished and toned, and your circulation improved. You can also opt for 15 minute sampler services, such as a warm oil or organic avocado scalp massage, hot stones, bamboo fusion, foot bath and Ashiatsu. You can add those samplers to any other treatments to try something new. The spa offers monthly specials and group packages if you are celebrating a birthday, shower, retreat or special occasion with friends. 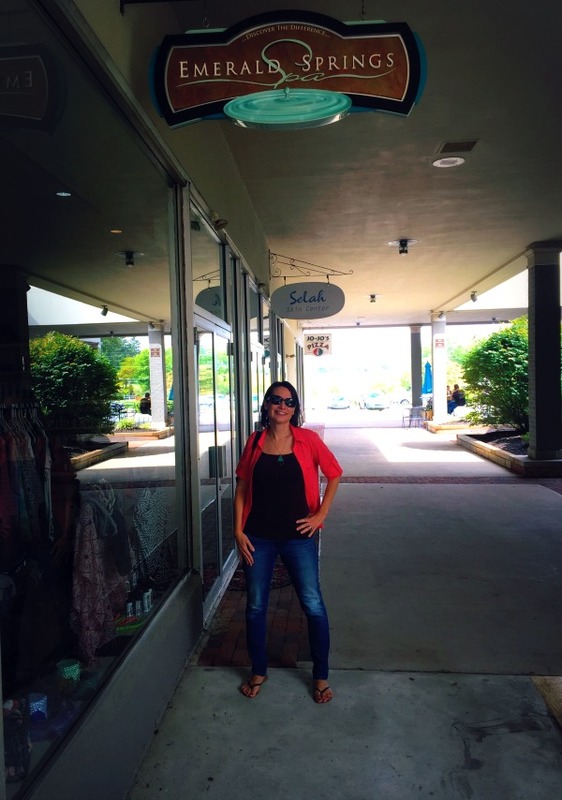 The gift shop in the storefront is packed with candles, creams, jewelry and gifts that mesh with the high-end therapeutic vibe, but like Emerald Springs Spa’s services, the prices were accessible. The Emerald Springs Spa in Hershey location was easy to find, in the Cocoa Plex Center on Cocoa Avenue in Hershey, near the heart of all the chocolatey action. There is also a Lancaster location of Emerald Springs Spa. Sunday | Open for special events. 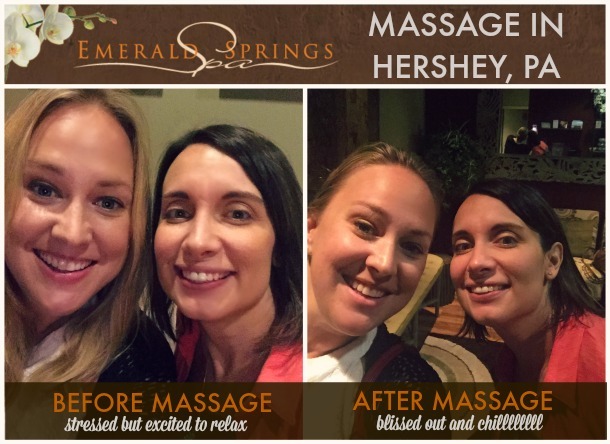 Disclosure: The Emerald Springs Spa offered us our massage services for review. 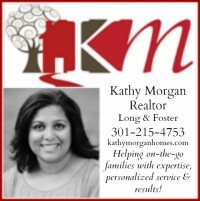 No additional compensation received.